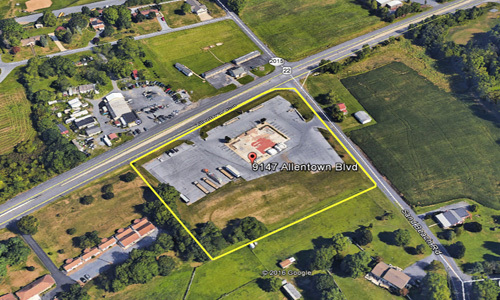 Five prime acres with 535 feet road frontage on major US Route 22. An 11,165 SF restaurant was formerly on the property. The property has underground storm water facilities and approximately 200 paved parking spaces. Utilities are available on site. This is an extremely visible prime corner location and within 2 miles from Hollywood Casino. Close to Hershey Amusement Park, Hershey Tanger Outlets, the Giant Center, and Penn State / Hershey Medical Center.